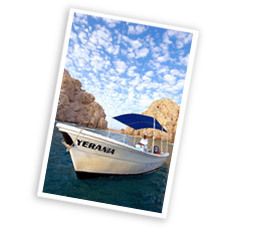 Our boat Yerania is a diving custom-made 25-foot boat, good for 10 divers. Is powered by a 115 hp four stroke Yamaha engine. 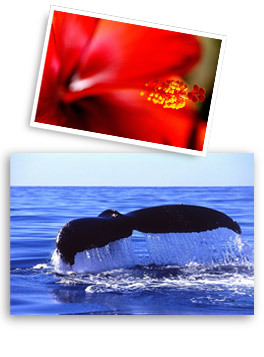 Let us guide and show you the unbelievable and wonderful submarine world of Los Cabos!!! 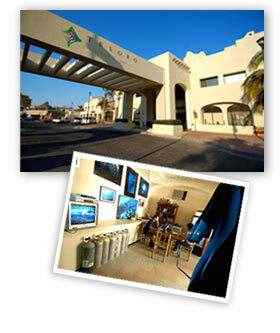 Deep blue diving shop is located at the Hotel Tesoro Los Cabos in Cabo San Lucas. 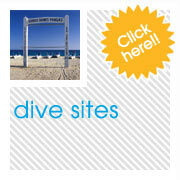 The Marina is behind the hotel; it is easy to move to the dive sites. Also we are in the center of the town, which is very convenient for eating, shopping and enjoying other activities after your dive. Our team has been working together for many years. 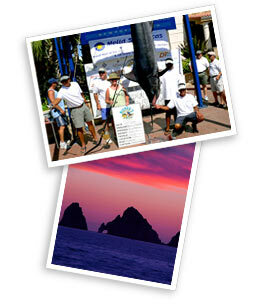 We are familiar with the Cabo San Lucas area as well as Gordo Banks, Cabo Pulmo and La Paz. We provide quality service from beginners to professionals with our PADI instructors and dive masters who speak English, Spanish and Japanese. 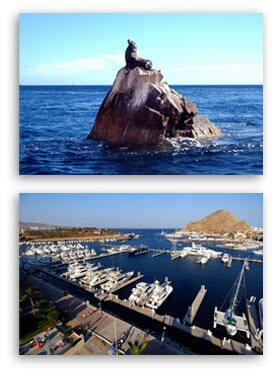 Los Cabos is divided in two cities, Cabo San Lucas and San Jose del Cabo. Los Cabos is well known because of his excellent Golf, Hotels and Resorts, the incredible Marlin sport fishing, the Bisbee's fishing tournament, the landscape with the combination of desert and ocean and the great diving. 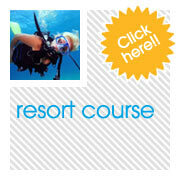 When you plan travel to Mexico, you will find two main resorts: Los Cabos and Can cun. Los Cabos is located in the very south point of the Baja peninsula and is surrounded by the Pacific Ocean and the sea of Cortez. 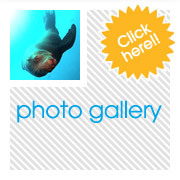 Right in this place is located the Sea Lion colony which is the most representative diving site of Los Cabos. In the north of the sea of Cortez, the Colorado River brings all the way from Canada to the ocean lots of nutrients during all year and this makes the sea of Cortez the richest sea in the world. It is very easy to find from: humpback whales, gray whales, blue whales, pilot whales, killer whales, whale sharks, hammer heads, sea lions, manta rays to all kind of tropical fish in the area.